Amanda has been certified since 2002 and teaching full time since 2005. She has taught at, managed and owned studios across the North and Mid-west. Unifying the technical with the mystical, she believes in a foundational meticulous approach to understanding the complex system of yoga. She has spent the past 15 years immersed in practice and study, blending the brilliance and beauty of Kriya, Iyengar, Kundalini and Anusara yoga practices and philosophies. Amanda is the director of Wild Mountain Yoga Center and founder of The Heart of Hatha teacher training programs and intensives. She offers weekly classes, privates, workshops and teacher trainings locally and nationally. Seren has been practicing yoga for over a decade, and teaching since 2012. She weaves intelligent physical alignment with heartfelt intention in a way that invites students to slow down, tune into their bodies, and fall in love with their own wise and wild hearts. Her classes are both challenging and sweet, playful and deep. Seren found her way to the mat while traveling in India and recovering from a climbing injury. She immediately recognized yoga as a path towards more vitality and joy in her life, and has practiced with devotion ever since. Seren completed her first 200 hour yoga training through Yoga Tree Studio while living in San Francisco, and over 500 hours of additional in depth study with teachers near and dear to her heart, including KK Ledford, Sianna Sherman, Katie Silcox, Chrisandra Fox and Amanda Dozal. Always a lover of nature and beauty, Seren is inspired by the ocean, dancing, traveling to foreign lands, and the way the stars move through the sky. Amanda is known for her passionate, precise and articulate approach to teaching. Unifying the technical with the mystical, she believes in a foundational approach to understanding the complex system of yoga. Kids Yoga Teacher Certified by YogaEducation to teach kids yoga - my hope is to inspire love of yoga in the Next Generation while having some fun. Jai Dev is a yogi, teacher and practitioner of Ayurvedic Medicine. He has been teaching Kundalini Yoga for over ten years and posseses great knowledge and experience of the yogic and ayurvedic sciences. Hari Sadhana Kaur is a devoted yogini who truly enjoys sharing the teachings of Kundalini Yoga as taught by Yogi Bhajan. 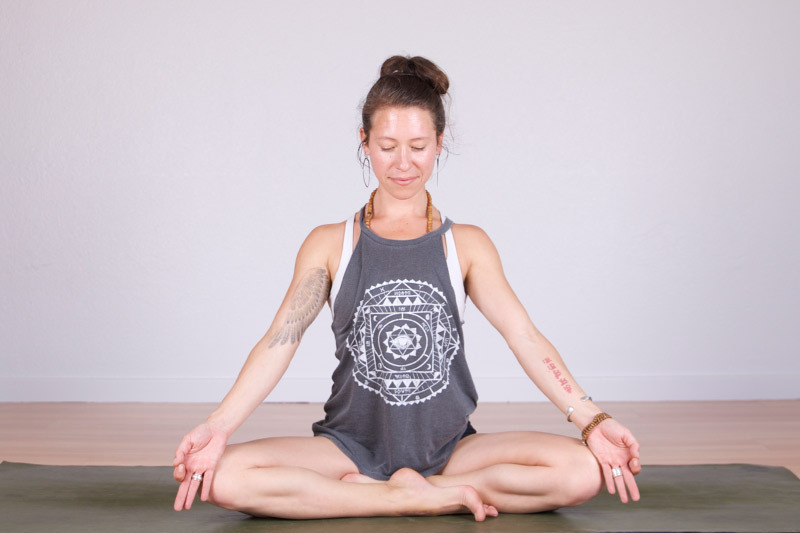 Seren weaves intelligent physical alignment with heartfelt intention in a way that invites students to slow down, tune into their bodies, and fall in love with their own wise and wild hearts. Zoe focuses on strength, stability, proper alignment, and breath-initiated movement. Her love for the practice translates into an accessible and simultaneously challenging class. As a teacher, my aim is to share these invaluable teachings, and to encourage everyone to open themselves up to the possibility of transformation in their bodies and lives. Mary-Jane's classes reflect her experience in yoga therapy & philosophy.